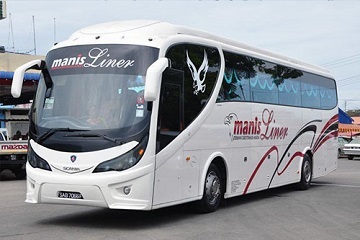 Manis Liner is one of the famous express bus company based in Sabah, Malaysia and it has been in the express bus industry since 2008. 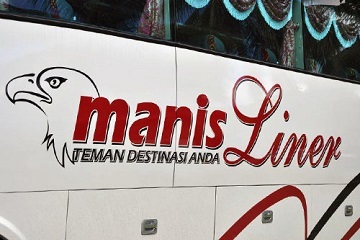 Manis Liner specialises in bus routes from Semporna Sabah to Kota Kinabalu Sabah and its return routes. Semporna is the gateway to diving paradise in world-renowned islands such as Sipadan island, Mabul island and many more. 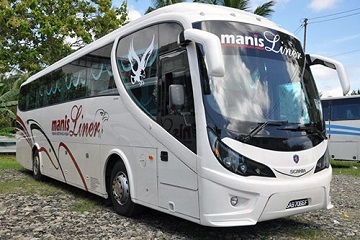 Manis Liner offers a bus route departs from Semporna to Kota Kinabalu Sabah daily. The express bus will depart from Semporna at 7.30pm and heading to Kota Kinabalu. The bus ticket is RM 50 per person. Besides, the departure time of the express bus from Kota Kinabalu Sabah to Semporna daily is at 7.30pm also. The bus ticket fare for this trip is RM 50 per person also. 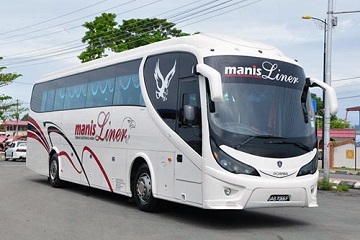 The express buses offer by Manis Liner are mainly in 44 seaters single deck or 42 seaters single deck. All of the buses are equipped with air conditioning and comfort seats. 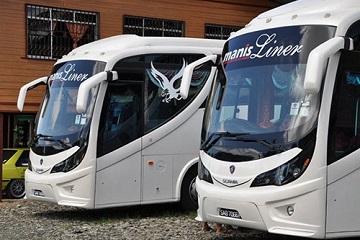 Besides, buses from Manis Liner also installed with charging port so passengers can charge their handphone battery when it is necessary. In addition, Manis Liner also offers television in the buses. Passengers can enjoy movies while they are in the bus. Manis Liner Express Terminal Bas Bandaraya(Utara) Jln Undan, Off Mile 6, Jln Tuaran, 88400 Kota Kinabalu. Manis Liner Express Manis Linear S/B , Peti Surat 35, 91308 Semporna, Sabah.